Sφera (2018) is a multi-channel sound environment by sound designer and electronic composer Jeph Vanger. Following showings at the Fort Process Sound & Art Festival in Newhaven, and Brighton Digital Festival, it was presented for the first time to London. 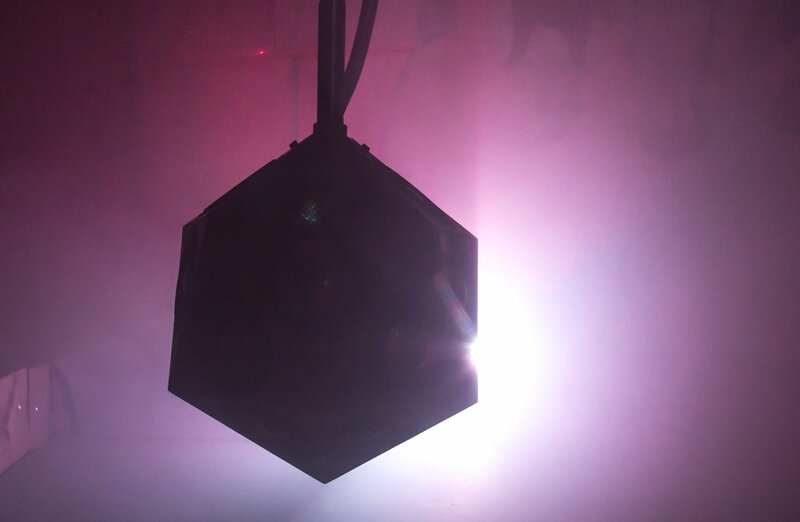 Loudspeaker Design experiments, 3D Audio and Contemporary Dance amalgamate through the symphony of a hand-built multi-cell horn speaker, a hand built subwoofer and the Sonible IKO ambisonics speaker. The physical presence of sound and the ongoing engagement become the priority. A major part of the installation, pays tribute to the mournful sound of the Foghorn, using original recordings from the field performance Foghorn Requiem (2013), where 50 ships sounded their horns to a score taking into account landscape and the physical distance of sound. Sφera derives from the philosophical principles of the Greek philosopher Parmenides, who was interested in the spherical perception of being-in-the-world.